Over the years Lagerfeld took Fendi in numerous directions, most recently, one that infused high polish with a sporty attitude. 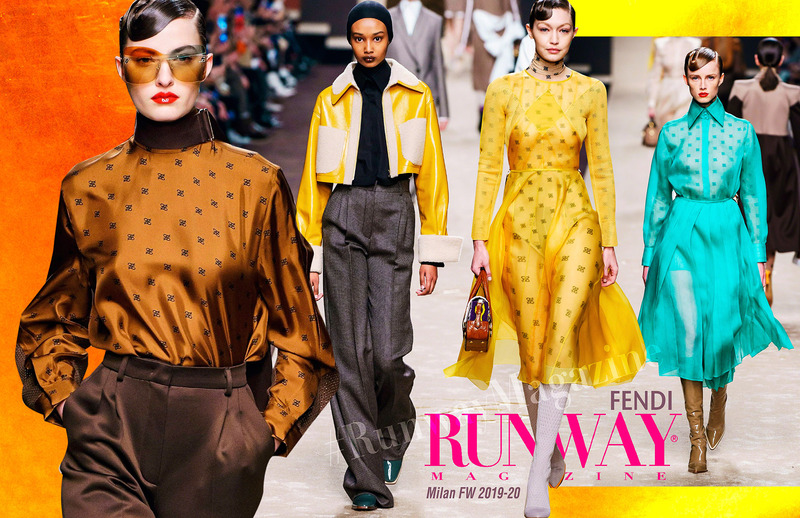 He achieved this mood via intricate cuts, layerings and working with remarkable materials, the fruits of Fendi’s incredible research and development. He would bring it all together ingeniously, the complications of construction belied by an inviting visual ease. This last collection radiated relaxed authority. The collection highlighted the single item most closely associated with Karl Lagerfeld himself — the crisp, buttoned-up shirt collar. Tailoring came both relaxed and lady-fied; the former often in men’s wear-derived coats and jackets, the latter in curvier silhouettes. 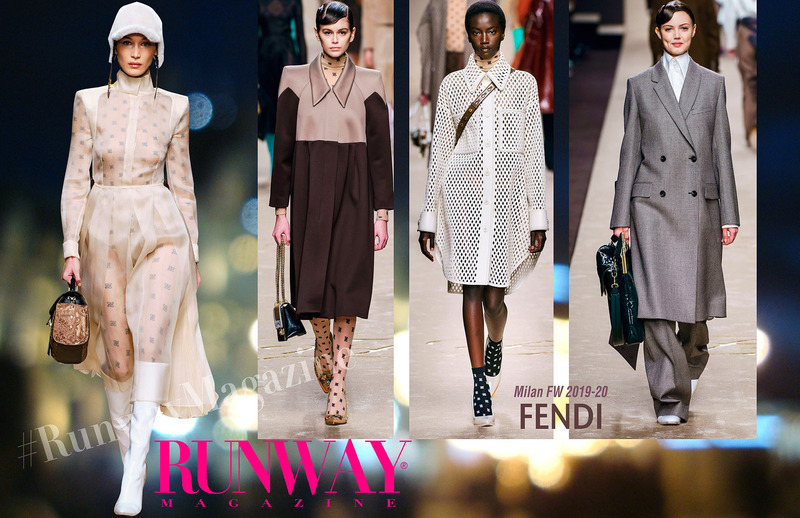 It appeared in numerous incarnations: its most classic form, crisp white cotton, tucked into trousers; under lean, sleeveless dresses; with fluid asymmetric pleated skirts; as a sheer aqua shirtdress over printed second-skin underpinning. This and several looks had soft sashes, worn half undone and tied in back into Karl’s bows. Throughout, Lagerfeld went back and forth between flou and body-con, the latter at its freshest in athletic-inspired mesh, including leather mesh. Either way, the clothes looked great. As for fur, it was highly technological acrylic false fur. Of course, there were some coats, including a sporty shirttail version, and numerous hats and bags. 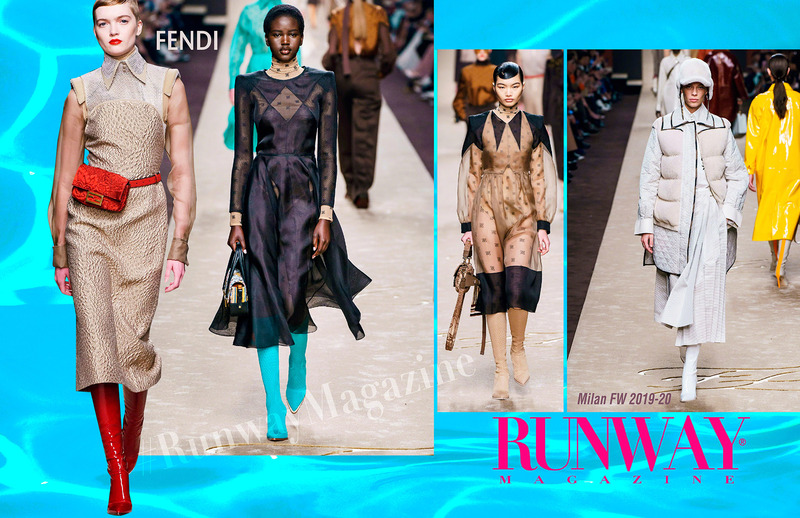 Fendi house started some time ago transformation to the democratic ready-to-wear couture house. Democratic — depends upon your interpretation of the word. Ultra chic and ultra current — absolutely, having spent the last half-century-plus under the creative watch of the man who possessed, among many other gifts, a genius at sensing the cultural moment and responding to it with bravado and high style. Backstage, Venturini Fendi said to public about her great loss, and about Karl Lagerfeld’s final vision for Fendi. “Karl would like it,” she said.